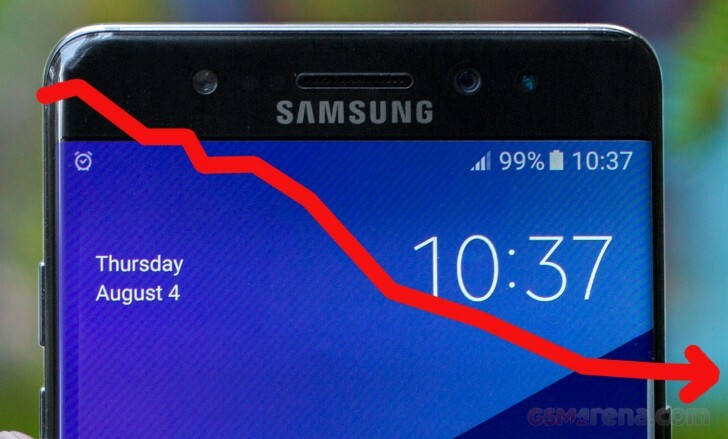 It’s Official: Samsung is Losing Sales by the Buckets! 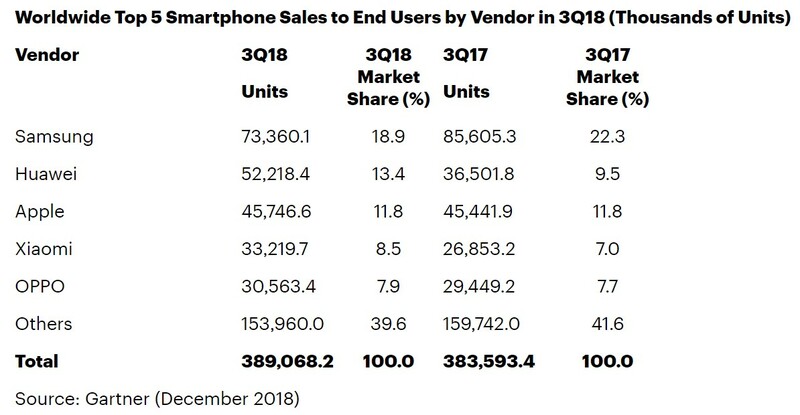 According to the Gartner report and multiple other reports that were recently released, Samsung Mobile has had a very disappointing show in Q3, 2018. When we say disappointing, what we really mean is the worst performance by the company's smartphone division in years, if not ever. While Samsung is still the global leader in the market with a 18.9% share, but that position isn't as dominating anymore as it was even just a quarter ago. Take a look at the following stats to understand what we are talking about here. There was a drop of 14% in sales for Samsung in this quarter, compared to Q3, 2017. The Korean giant managed to sell only 73.3 million units (18.9%) in Q3, 2018, while they had sold about 85.6 million units (22.3%) in Q3 2017. As you can see, Huawei (13.4%) is the rising star right now, dethroning Apple (11.8%) to take the second position after Samsung. It would be interesting to see if Samsung Mobile decides to do anything that might improve their situation, or if they continue to do what they are already doing, although that would be quite surprising, given the dismal performance. Tags: it’s official: samsung losing sales bucket! Xiaomi losing its hold on the smartphone market? As the financial reports of Xiaomi for 2015 states, it wasn't a great year for the Chinese smartphone giant. Make no mistake though as Xiaomi did not suffer any losses and their annual sales report suggests that the company sold over 60 million units in 2015! However, where it failed was in matching up to its own expectations. After an extremely successful 2014 which had put them even ahead of LG in the list of top five mobile phone manufacturers internationally, Xiaomi had set themselves a sales target of 80 million units by the end of 2015. The business model followed by Xiaomi (and a lot of other Chinese manufacturers) works by creating a controlled situation where the demand is always greater than the supply, at least in the beginning. The aggressive advertising strategy, coupled with "flash sales" that only allow a limited number of the handsets to be sold at any one time, made Xiaomi the number one startup venture in the tech segment ($45 billion) in 2014. Some business analysts are of the opinion that the best days of Xiaomi are behind them as their low-cost high-performance devices are no longer unique. Chinese manufacturers have flooded the market in 2015 with cheap but powerful devices. This has not only made it more competitive for Xiaomi, but has also made flash sales a risky strategy. People may no longer wait to buy a smartphone that's out of stock because another product would be available to them with the same specs and a similar price tag. Things in 2015 did not look that good for Xiaomi in its own country either as Huawei replaced them as the number one smartphone maker in China. If Xiaomi has to go back on top of the list again, they will have to hit harder in 2016. Tags: it’s official: samsung losing sales bucket! xiaomi losing its hold smartphone market?